And indeed there is something there. But, it could just be another star so I´m going to check out some constellation charts. ... Ok I got the pictures... Its sooo cold out that Im shaking like crazy. 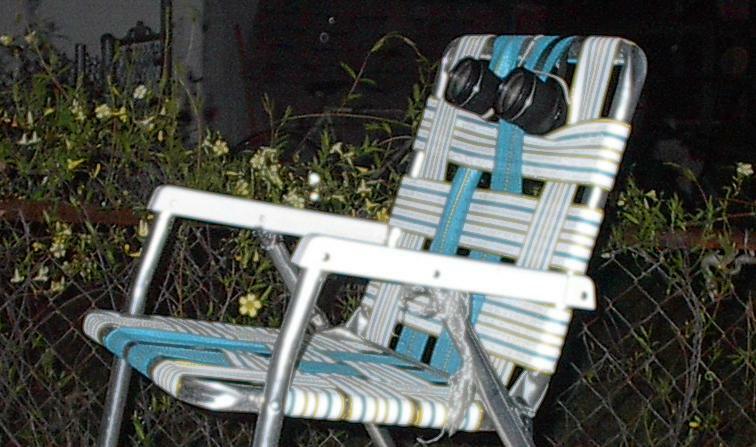 ... What I did was create a makeshift stand for my binoculars using a piece of string, a lawn chair, and a plastic outdoor table. The binoculars are perfectly steady, very little wind. Im going to keep trying until I can get something recognizable. ... The camera was set to the highest resolution possible. ... 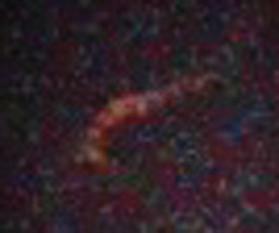 I think I located what your looking at on the photo ... Ive cropped and enlarged it and did some enhancements.